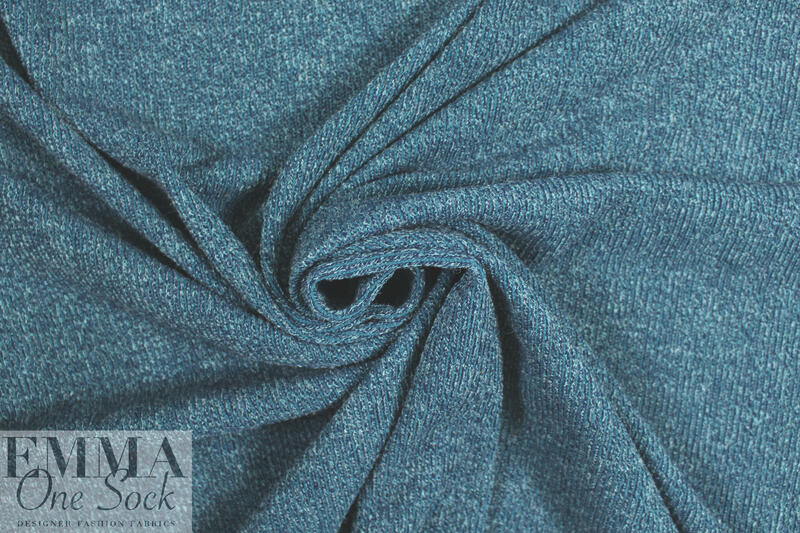 Out of stock, new yardage arriving mid May. You may order now and we'll ship when it comes in. 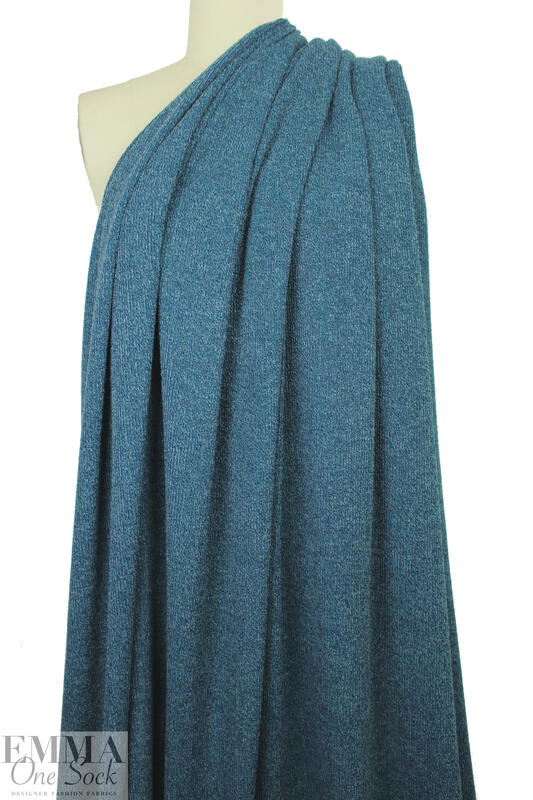 This is a lovely medium-light weight sweater knit, drapey and soft with 80% widthwise stretch, 50% lengthwise stretch. 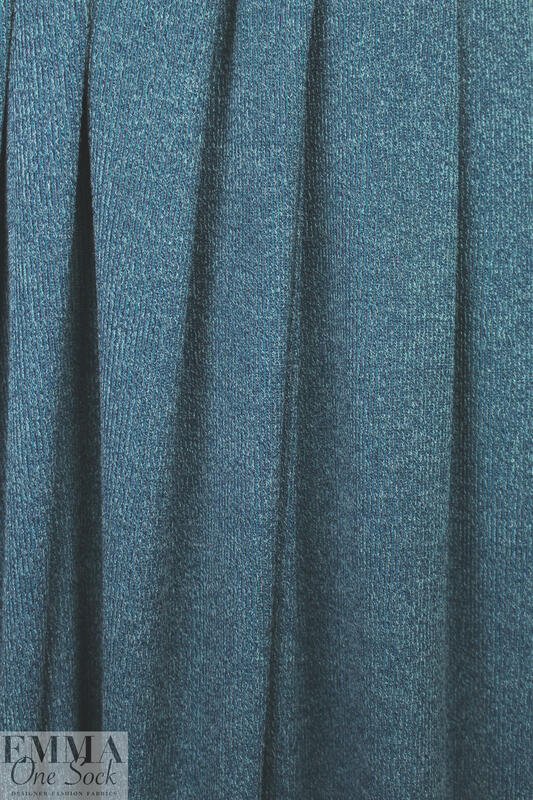 It has a soft hand, and a ribbed texture with vertical heathered ribs of mallard, indigo and very light blue (PANTONE 18-4320-ish) and is a beautiful basic that will coordinate with so many things. It is nearly opaque, and perfect for drapey tops, tunics, cardigans, infinity scarf, etc. Some styles may need lining or layering. Please test first: hand wash, lay flat to dry.